The tour train continues to roll. Below are the upcoming events in the next few weeks. We hope you can join us – we would love to see you! 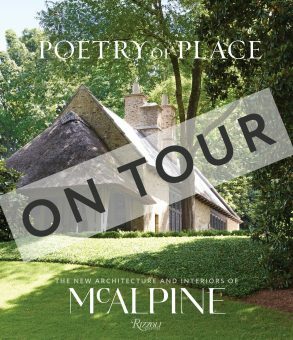 Botanical Gardens, 2612 Lane Park Rd, Birmingham, AL, 205-414-3900, “A Conversation with Bobby McAlpine & Chris Tippett”. Book signing to follow. 140 Water Street, Norwalk, CT 203-552-5272, Book signing and Q&A with Greg Tankersley, moderated by Marianne Howatson, CEO of C&G Media Group. McAlpine Book Launch Event, 501 Cloverdale Road, Suite 201, Montgomery, AL, 334-262-8315, Book signing & celebration. Book sales provided by Christine’s Feathered Nest. 675 Townsend Street, San Francisco, CA, 510-398-0354, Cocktails & book signing with Susan Ferrier.